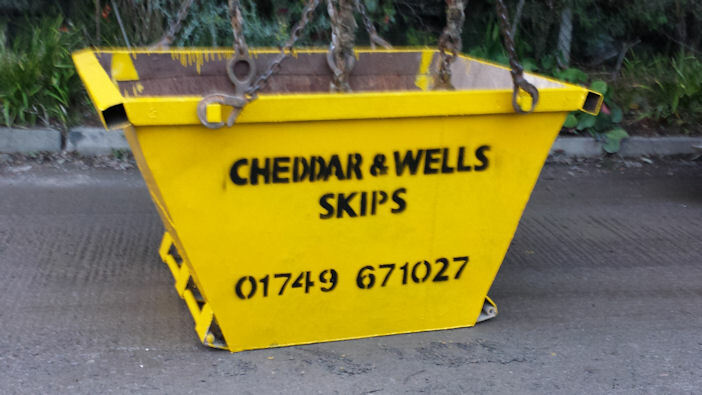 Cheddar & Wells Skips offer a large range of skips to fulfil to your needs for different types and quantities of waste. We currently have the following sizes: 2yd [known as a mini] 4yd [known as midi] 4.8 yd. The standard 6yd [known as a builder skips], 8 yard, 10 yard, 12 yard, 15 yard, 18 yard, 20 yard, 25 yard, 35 yard, 40 yard. 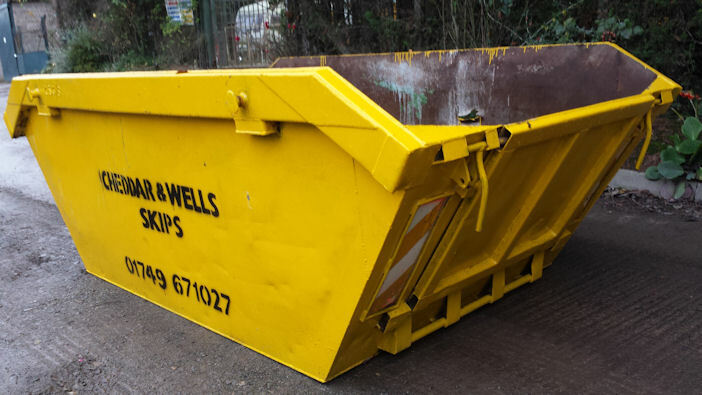 We also have skips with lids for environmental containment security. Not sure what size skip you need? Check out our skip comparison gallery. 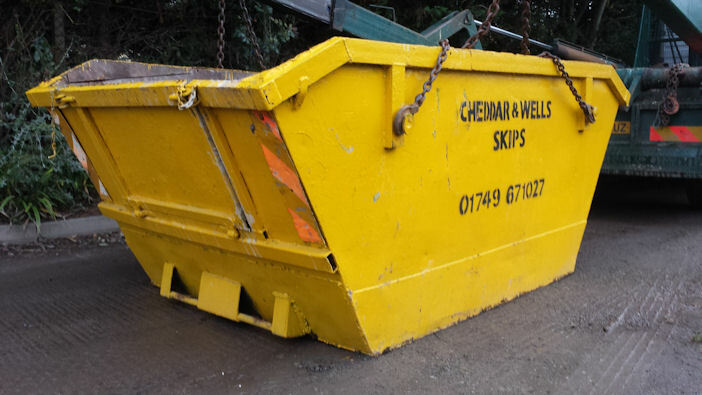 These skips tend to be used for garden clearance, house waste or small building works. 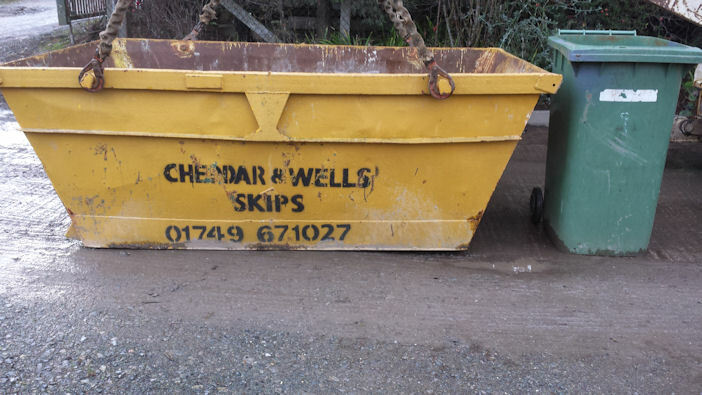 These size of skips are the traditional builders skips. Used for larger projects. 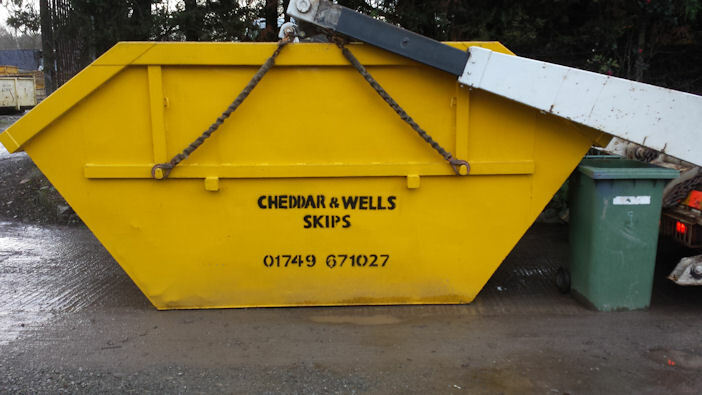 These skips are used for demolition work, commercial and other groundworks. 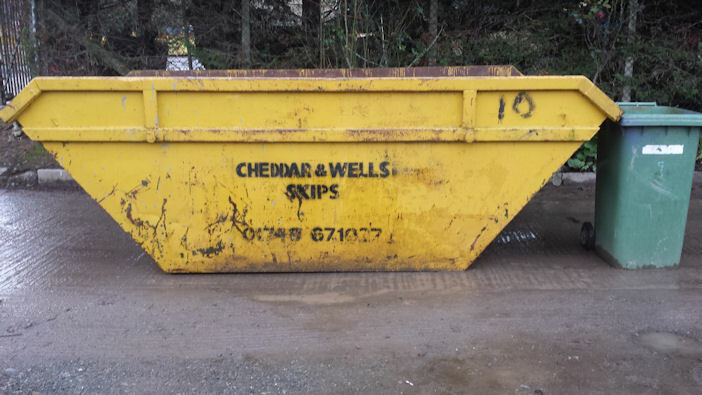 These Skips are ideal for large house business/ offices or factory clearances. The smaller skips and lorries are useful for smaller areas where access is limited. The usual width required for us to deliver a skip is around 8.6 feet. Our drivers are very experienced in delivering into more awkward or tighter areas. 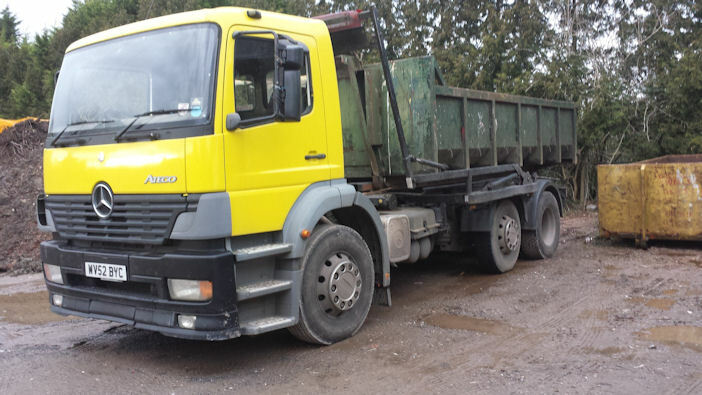 We are permitted to deal with heavier types of waste such as soil or stone, and have “roll on, roll off” skips which load low to the ground, have rear opening doors and take heavier amounts of waste. 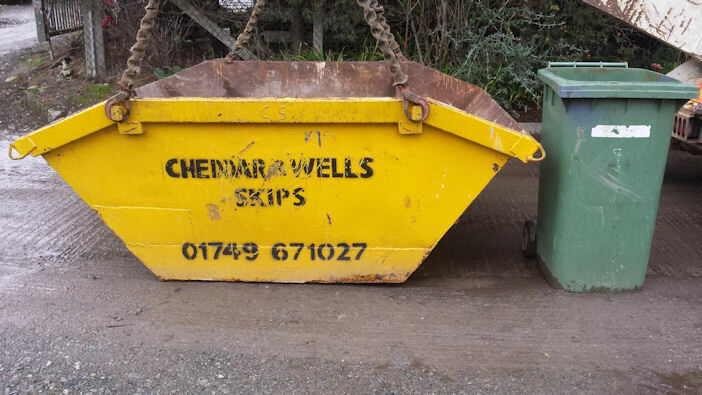 We have “drop end” skips available in 4-8 yards where the end drops down to allow you to wheel barrow loads of mud, for example, into the skip easily. All skips can be lifted over a low wall or hedge.